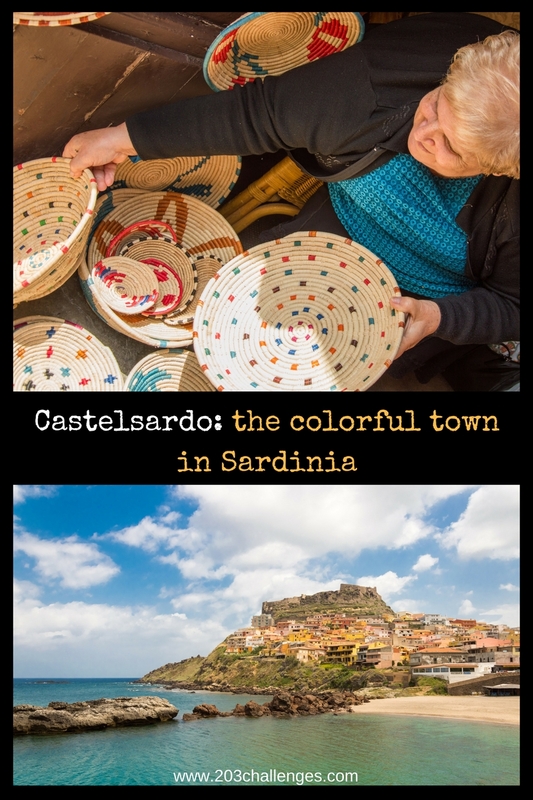 Discover the different faces of Sardinia with this five-day self-drive itinerary, which could easily be covered in more or fewer days (I’ve added some interesting detour options around the main stops of the route if you want to stay longer). 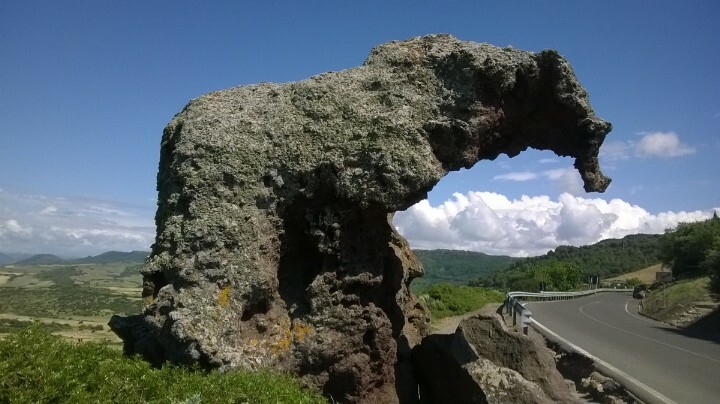 You’ll find some useful general information about driving in Sardinia at the end. 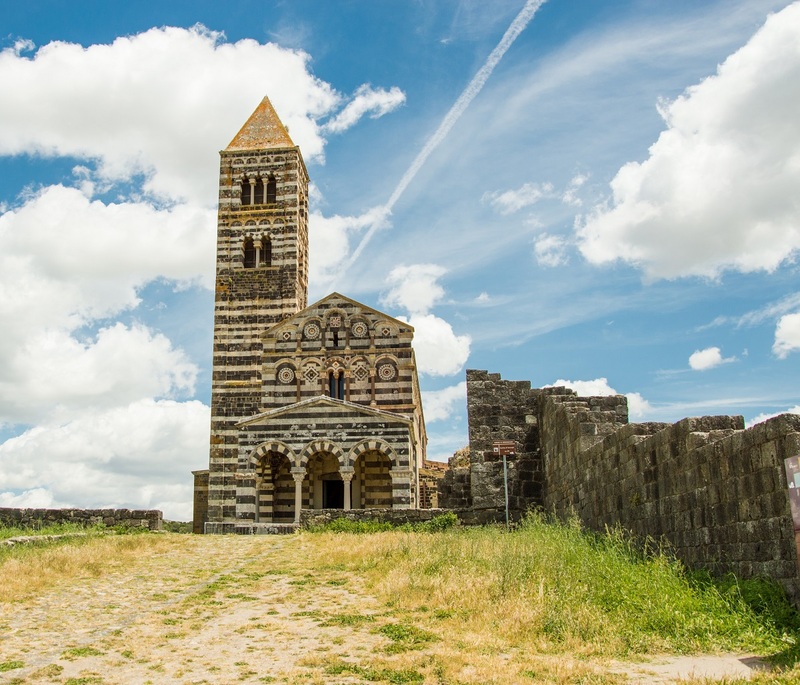 Since the first time we heard about the ancient cultures of the Ozieri and the Nuragic civilizations, who used to live on the island of Sardinia, we knew the remains of their imposing buildings, temples and burial sites would be the highlights of our road trip in North Sardinia. 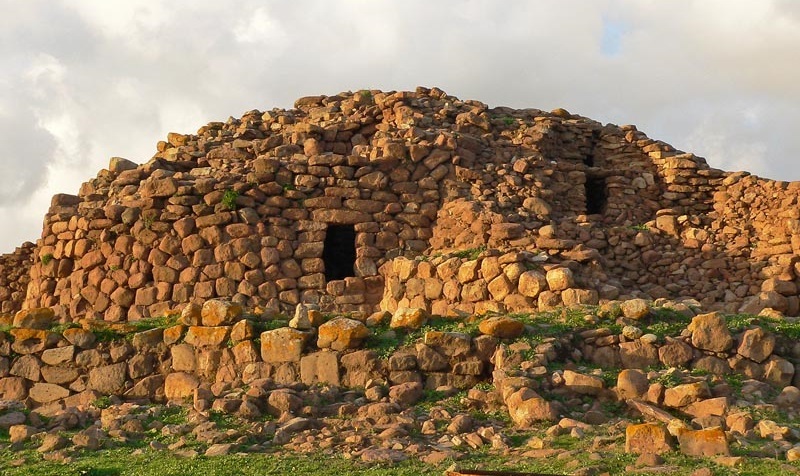 One of the symbols of Sardinia is the nuraghe – a circular tower built by the Nuragic civilization around 3,500 years ago. You can use your imagination to guess what they were used for, because historians have no idea – only hypotheses (military bases, ruler’s residences, religious spots etc.). There are more than 700 nuraghes left on the island and you will see many brown signs pointing to them while you drive. Visit one (or several) and feel the ancient vibes they exude. 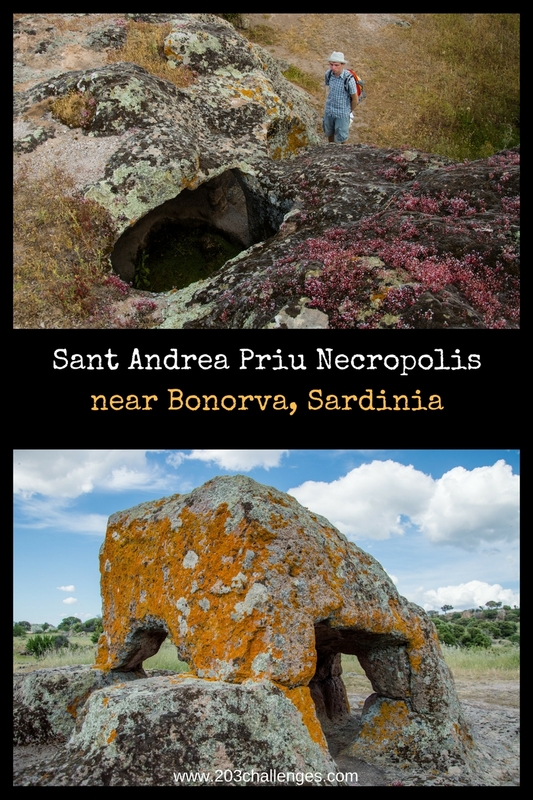 Some of the best-preserved examples in the northern part of Sardinia are Palmavera (near Alghero) and Nuraghe Santu Antine (near Torralba). This is the most Spanish city in Sardinia – it was colonized by Catalonians in the 16th century and has maintained this special atmosphere ever since. 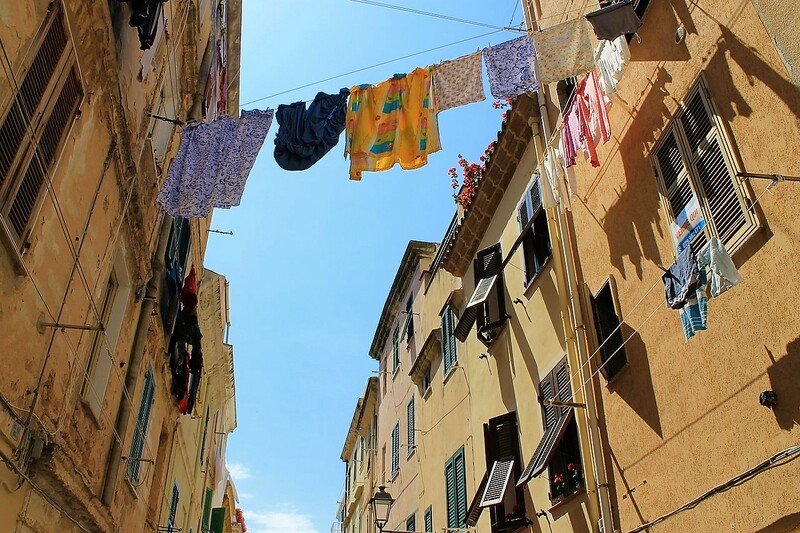 The old town of Alghero is encompassed by a historic citadel with imposing towers and gates, some of them turned into museums or accessible for panorama-lovers to take a look at the roofs of Alghero from above. Detour idea: Hop on a boat from Alghero’s port and visit Neptune’s grotto, which hides a massive salt lake in its bowels. Boats leave several times a day. One of the highlights of our trip – the Necropolis of Anghelu Ruju (pronounced An-gheh-loo Roo-you) – is a complex of 5000-year-old, underground, rock-hewn tombs that you can explore and even enter (if you feel comfortable in narrow spaces!). For many years the locals, being unable to imagine how these hollow rocks had appeared, believed they were the houses of fairies, and that’s how they named them: domus de janas (homes of fairies). There’s a very fairy feeling here, though the site is actually an ancient graveyard. Who knows, maybe tourists will walk on and wonder about our graves some 2000 years from now. Read more about Anghelu Ruju. If you can be in Sassari on 14 and 15 August, you will witness a particularly quirky Sardinian festival: Candelieri, when nine gigantic wooden candles pass through the city in a solemn procession to honor the Virgin Mary, who saved the city from the plague. The old part of Sassari is quiet and inhabited mainly by lazy cats who, on a hot summer day, won’t even make the effort to turn their heads in your direction. 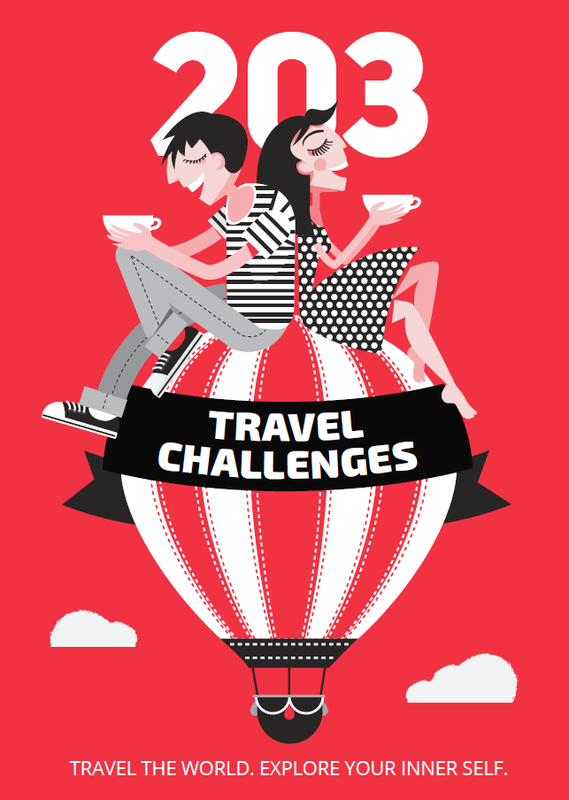 For a good chat and a creative atmosphere, sit and sip a coffee at one of the student cafes around the university (in the city center). We had no intention of visiting this basilica, but the contrasting black basalt and white limestone facade blazing in the sun forced us to pull over by the road. If it reminds you of Tuscany, that’s no surprise because it was built in Tuscan Romanesque style. 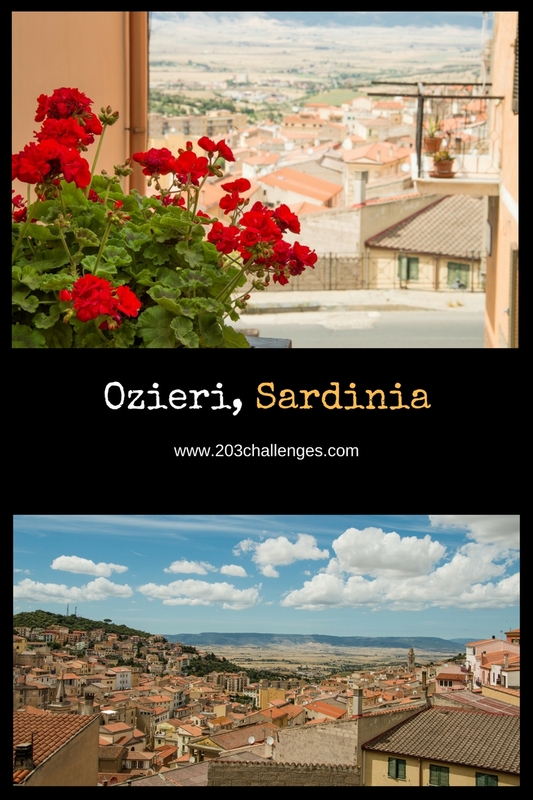 It’s a 30-km (18-mi) drive from Sassari on the way to Ozieri and Thiesi (see the map above). You might feel like you’ve seen too many burial sites already, but this one is worth the road traveled (plus the route cuts between scenic hills and plains). One of the domus de janas (remember, the fairy houses = ancient rock tombs) at Sant Andrea Priu Necropolis, the Tomb of the Chief, looks like a 5000-year-old luxury apartment with its 18 rooms sheltered in a cave. Near the main group of rock chambers, there is a headless stone bull believed to represent one of the gods of the Ozieri culture. There was one time when we had been driving for so many hours and got so hungry that we started imagining each other as hot dogs. So we stopped in the first town – Thiesi – where according to the old traveler’s tradition all restaurants were closed. After all, it was before 4 pm and Italians take their resting time seriously. We rambled through the streets, discovered some amazing murals and finally stopped at the only bar open at the time, where we were the only customers and were fed with the last two sandwiches available. That’s what I call luck! We visited the town of Ozieri with the intention to see the San Michele cave, known for its domus de janas and some ancient rituals that took place there. Unfortunately, it was closed that day and we had to go on. Detour idea: Nuoro, the literature town. 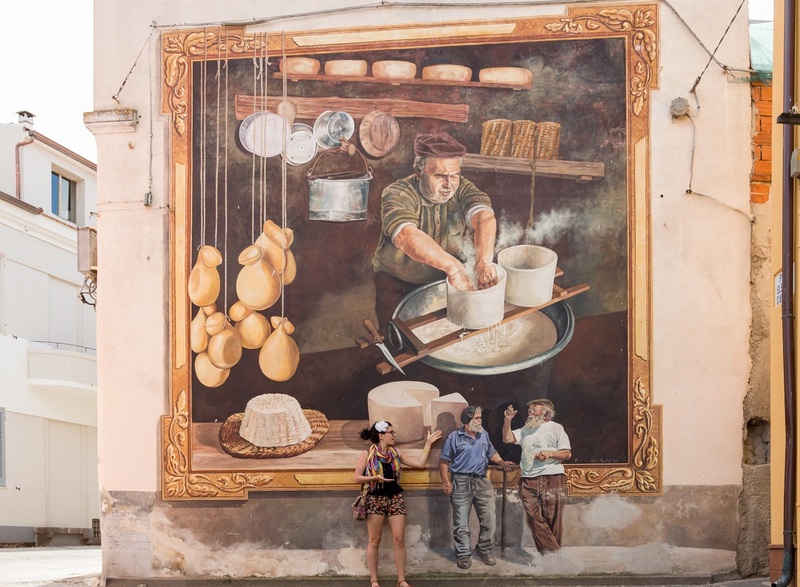 We didn’t have enough time to go to Nuoro but if you do, plan a stop here – it’s one of the cultural hubs in Sardinia. It also contains the house of Grazia Deledda, a writer who received the Nobel Prize for Literature in 1926 for her exquisite texts describing life in Sardinia (if you want to fully immerse yourself in island life, read some of her works before you hit the road). 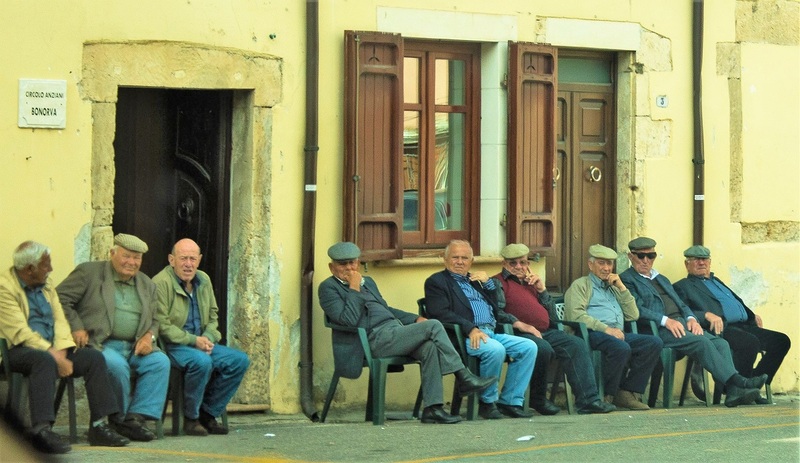 The Ancient Greeks called Olbia ‘The Happy Town’ and all the tourists practicing dolce far niente (literally translated as ‘sweet doing nothing’) did indeed look happy. Olbia is a port with laid-back cafes and plenty of cork tree souvenirs (you will see the cork trees while you drive). Detour idea: La Maddalena is probably the most beautiful archipelago in Sardinia – with unreal blue water and myriads of tiny rocky islands accessible by boat tours, it creates the perfect atmosphere to lay back, bask in the sunshine and imagine you are Robinson Crusoe. Or how does a lonely island picnic sound? The resort area of Costa Smeralda is just a stone’s throw away if you need a few days of concentrated sun intake. This late Neolithic funeral dolmen will remind you of other stone circles seen all over Europe. Follow the brown road signs and you will reach a small widening of the road, where you can park and climb a shaky wooden ladder to get across a barbed wire fence. We weren’t sure if this was really legal, but why would they put the ladder there if you were not supposed to use it to trespass on someone’s private property? This city was founded in 1808 as a base to cope with the large numbers of smugglers landing on the island, whereas today only tourists from Corsica set foot here. Climb the city’s highest tower – Torre di Longonsardo – for the best view around, and if you haven’t visited the island of Corsica yet, take the ferry (one hour) for a day trip. Detour idea: If you want to stay longer, Spiaggia di Rena Bianca is the best beach in the city. 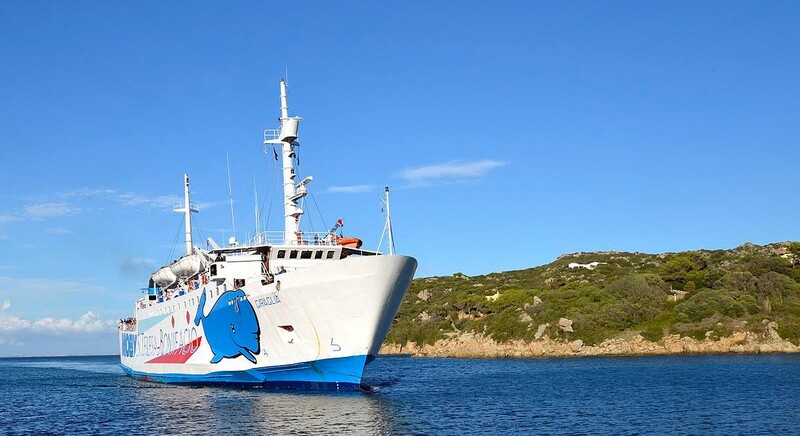 Ferries leave several times a day to Bonifacio, Corsica, from Santa Teresa Gallura. The Corsican town has a postcard-like harbor, an old town full of cobbled streets, souvenir shops and restaurants with tiny, tiny tables. 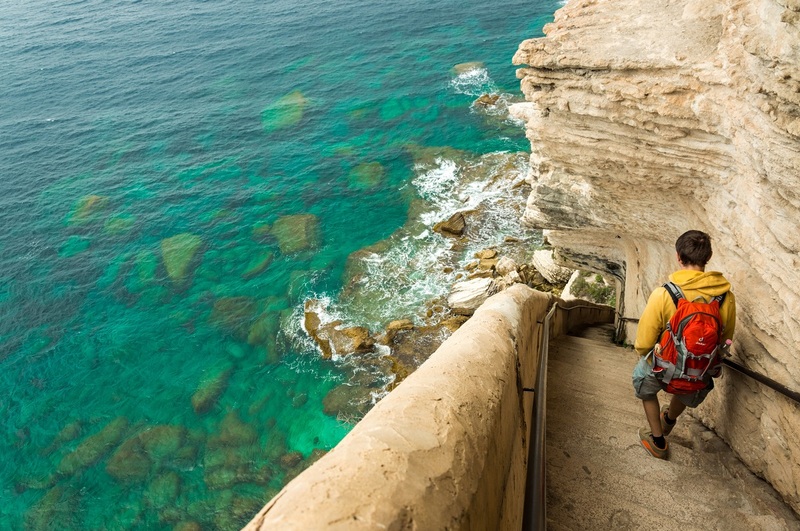 Climb the Staircase of the King of Aragon and if you crave fresh air, follow the marked hiking paths that will take you out of the town to some rocky outcrops offering breathtaking views. Don’t miss the graveyard-town of Bonifacio, which consists of tens of family tombs resembling real-life houses. All of these tombs are colorful, with roofs, windows and flower pots in front of them. On your way south, just a few kilometers before the coastal town of Castelsardo, stop by the road to take a photo with an elephant. The Roccia Elefante (Elephant Rock) is 100% created by nature and makes an impressive backdrop for a photo. 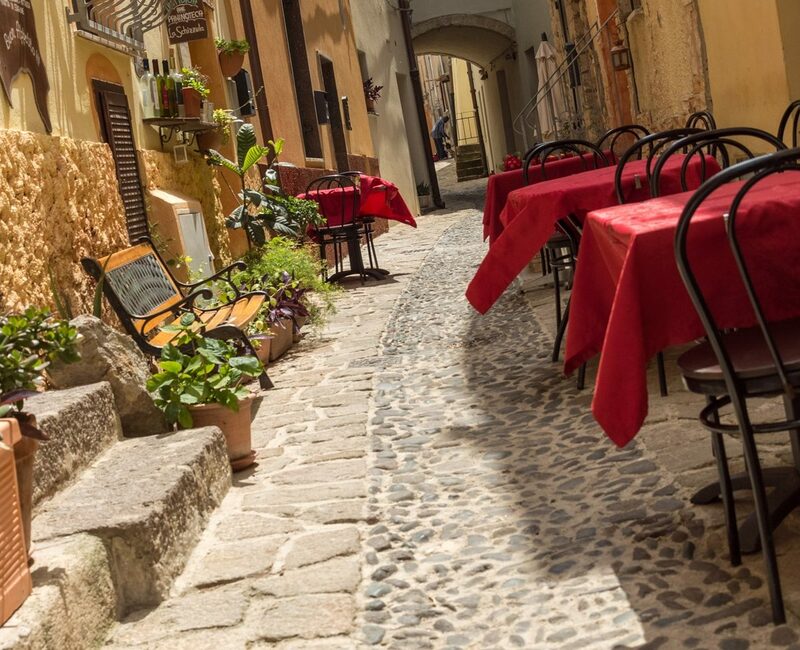 This colorful coastal town has so many beautiful vantage points that you can spend a whole day walking from restaurant to restaurant sipping the local Vermentino wine or mirto liqueur. Start with the old town and its rock-perched Sant Antonio di Abate Cathedral. Roam the steep streets and talk to the nice old ladies selling their handicrafts, then soak your feet in the warm, shallow water of the tiny beach. It’s time to check out a (supposed) piece of Mesopotamia in Italy! This more than 6000-year-old megalithic pyramid is amazing for the fact that there is nothing like anywhere else in Italy or in the whole Mediterranean. At the same time, it very much looks like a Mesopotamian temple (ziggurat), which leads scientists to wonder how the two places were connected in those ancient times. Nobody has yet discovered the secret – maybe it’ll be you who unearths the key piece of evidence! Take an information brochure about the monument in your language and learn more about the mystical rituals that took place here.